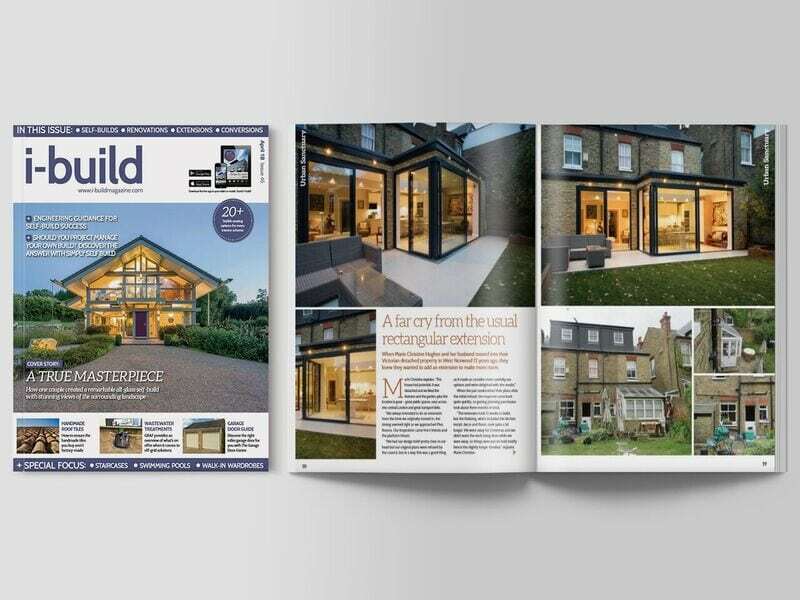 When Marie Christine Hughes and her husband moved into their Victorian detached property in West Norwood 12 years ago, they knew they wanted to add an extension to make more room. Marie Christine explains: “The house had potential. It was detached and we liked the features and the garden, plus the location is great – great public spaces, easy access into central London and great transport links. When the pair resubmitted their plans after the initial refusal; the response came back quite quickly, so gaining planning permission took about three months in total. “The extension took 12 weeks to build, but the finishing, which included the kitchen install, decor and floors, took quite a bit longer. We went away for Christmas and we didn’t want the work being done while we were away, so things were put on hold briefly hence the slightly longer timeline,” explains Marie Christine. “We liked the exterior of the property so we kept the lines of the original building, hence the L-shape extension. Other than that, we reconfigured a lot of the interior. Although the extension is contemporary, it is done sympathetically with the rest of the house. It’s double-fronted and we put the bathroom on the side to ensure the front room wasn’t shut off. We focused on making sure we had carefully zoned areas. “We wanted the work done, but didn’t want to project manage ourselves – life’s too busy. Plus Rooms handled the whole thing impeccably from end-to-end. Alex was simply marvellous! He kept us in the loop but helped smooth the way and proposed solutions all the time. We didn’t work with an architect directly – Plus Rooms liaised with the architects to get the plans drawn as agreed with them, surveying happened but we weren’t involved in the day-to-day. The extension is open-plan between the original kitchen and the back dining room which has created a large and spacious kitchen, dining and living space. This build was a good example of a broken-plan configuration where elements of structure have intentionally been left in to give subtle division to zone space. Having a staggered back wall is another example of how you can help distinguish different part of zones. The extension also has big sliding doors that slide away from a corner which create an impressive feeling in the dining room looking out onto the garden. This also brings the kitchen outdoors – a lovely feature for summer evenings. The beams in the ceiling help to create character and interest, a far cry from the usual rectangular open space. The large glass panels help various sections of each room you are in – in particular the garden – to bring the inside out. When it came to material and product specification, Marie Christine said: “Braverman Kitchens made things very easy. They, just like Plus Rooms, were introduced to us through friends who had done a very large project which we loved. Again, we knew what we wanted so it was great to see the plans come about. Other items such as door handles, doors and light fittings were all chosen either online or through seeing them at our friend’s property. We checked everything with Alex to ensure the specifications matched. The floor tiles came from Kettering – we’d originally had seen them at the Grand Design’s Show in Docklands. We really love those floor tiles. They’re porcelain. The underfloor heating was a definite must. I love the kitchen and the fact that the snug can be quite separate and can be used for doing something completely different. We aren’t encroaching on each other’s activities, but we are together – the extension is a great space for a family. “It’s made a huge difference to our lives, it’s the warmest part of the house and we simply live there day-to-day. It’s everything we ever wanted from the build. “I’d recommend Plus Rooms in a heartbeat – they have such experience of similar projects that they can smooth any blips along the way. We had to pay more as we had to dig down deeper at foundation level and secure ground before the build could happen – this added another £18,000 to the overall cost. But there was nothing else unforeseen.